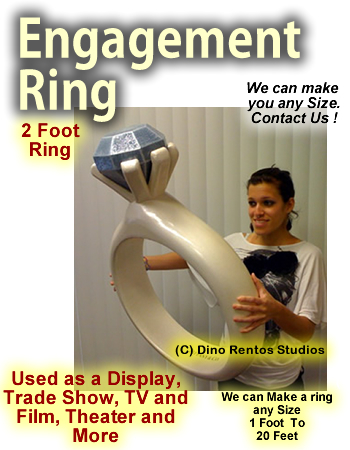 Giant/Big Engagement Ring Foam Prop - Dino Rentos Studios, INC.
2 foot tall ring. Painted silver or gold. The Diamond is white and coated with super gloss shine.